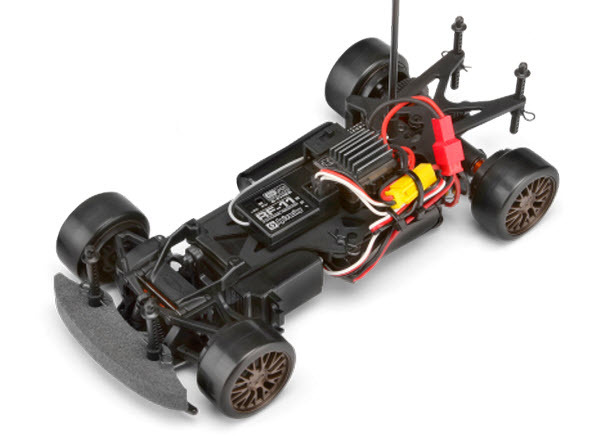 Three new cars to reveal today, with a pair of nitro truggies that span the size spectrum (1/16 for Turnigy, 1/8 for SWorkz) and the latest flavor for HPI’s 1/18 Micro RS4 on-road car. SWorkz’ new 350T is the biggest release of the bunch (literally and figuratively), so let’s start there. The short version of the SWorkz 350T truggy story is, “it’s loaded.” Chassis and shock towers are 7075 aluminum, the upper nose plate is carbon fiber, the suspension arms are flat-sided to resist dirt buildup, and CV axles are used all around. It’s a kit, of course, so engine, pipe, radio gear, and tire choices are left to you. 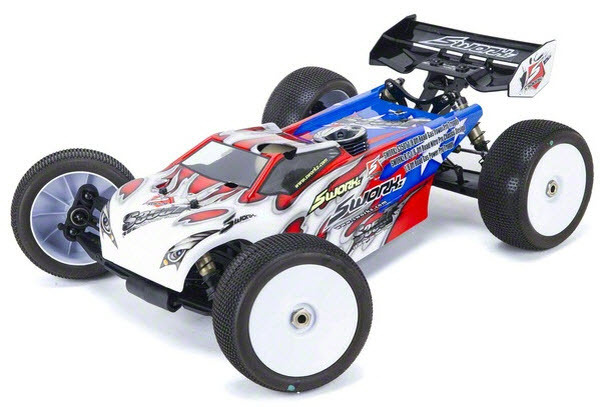 You do get the “Speed Rhinoceros” body though, which probably the best name for a body ever. More details, photos and specs here. 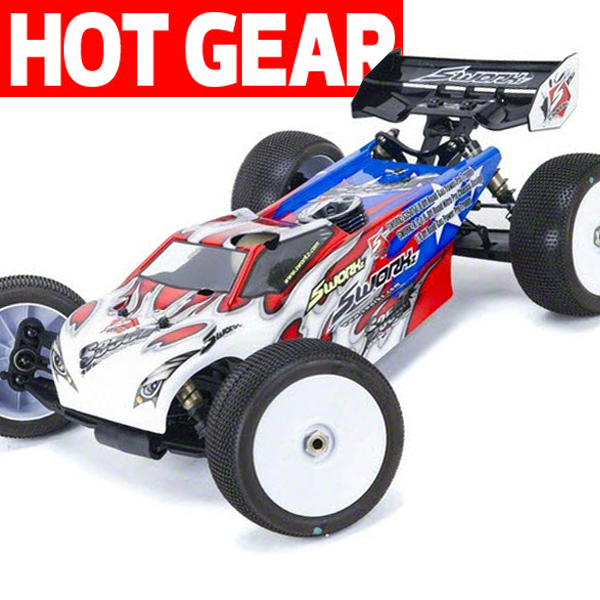 Next up, HPI’s latest spin on the Micro RS4 formula, the Micro RS4 Drift. 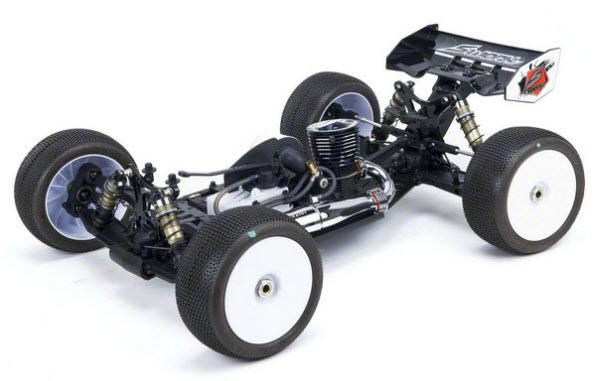 The direct-drive, independent-front-suspension chassis is RTR and set up to drift with hard plastic tires and locked differentials. 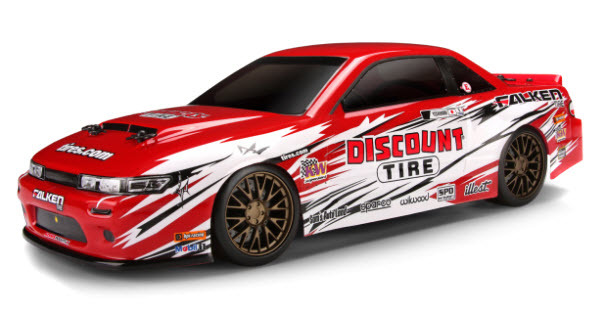 The bodywork replicates Dai Yoshihara’s Discount Tire Nissan S13, and looks shelf-worthy (as usual for HPI). But please, do drive it. More pics in our Hot News & New Stuff forum. Subscribe! Remember when nitro minis were a thing? 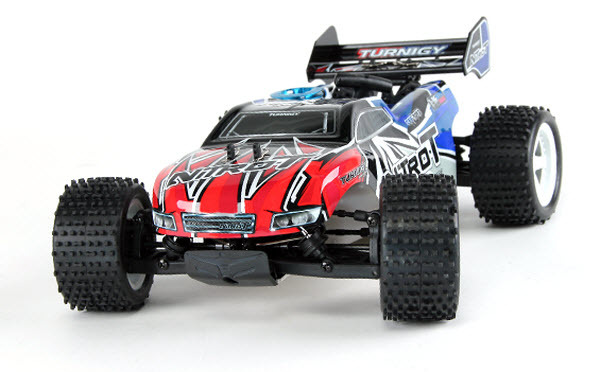 Turnigy is bringing it back with the Nitro-T, a 1/16 ARR (Almost Ready-To-Run) that puts a .07ci pull-start engine to work spinning shaft-driven 4WD. 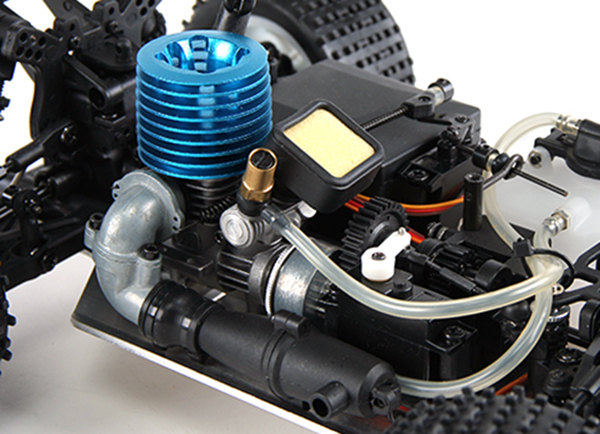 You add your own radio system and receiver pack, everything else is included. More pics and specs in our Hot News & New Stuff forum. Subscribe!